I am not really happy with this selection. He will be co-writing it with Chris Terrio, who wrote Batman vs Superman and Argo, which he won an Oscar for. I can't say I'm surprised. I had a feeling they would bring back either J.J. Abrams or Rian Johnson. I feel comforted by this, because J.J and Rian were on the same thought track, so now it will remain how it was meant to be. I loved TFA and I think JJ will be able to bring Episode 9 home. It's going to have to be somewhat uplifting and have some humor. I know Kasdan was probably responsible for most of the humor in TFA but I think JJ is a very good choice. The man who brought Star Wars back to life with 2015's The Force Awakens is back! 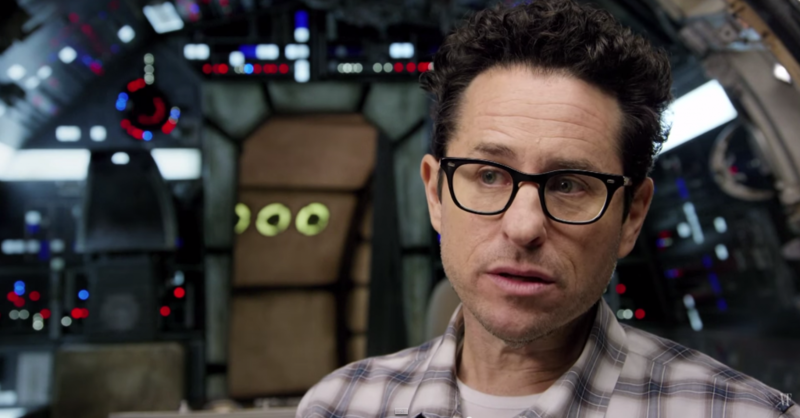 StarWars.com has just confirmed that J.J. Abrams will be coming back to finish what he started, by writing and directing Episode IX! In an official press release tweeted out from StarWars.com, Lucasfilm has confirmed that Abrams will be back to write and direct the final film in the sequel trilogy. Co-writing with Abrams will be Chris Terrio (Argo, Batman v. Superman, Justice League). According to Deadline, Rian Johnson turned down the offer to return for Episode IX, but that has not been confirmed by Johnson nor Lucasfilm. J.J. Abrams and Lawrence Kasdan created a smash hit with critics and fans alike for his franchise reviving installment to kick off the new trilogy with The Force Awakens. Abrams is a proven commodity that brought Star Wars back to relevance, and also brought it back to it's roots in many senses of the word. Star Wars Episode IX is set to begin production this January, and is scheduled to be released on May 24, 2019. You can find me on Twitter @JohnnyHoey and we'll be covering this on The Resistance Broadcast this week @RBatSWNN! I guess I should say this makes me go meh, more than unhappy or mad about it. I loved TFA, but hope we get a more original movie this time. Hmm. I love TFA but feel like JJ "lucked" out on it because most of his other work is only just decent to me. I'm not sure he can do it again. The co-writer he's bringing on (Batman vs Superman and Justice League?? Ouch) is a risky one too. Knee-jerk reactions out of the way, at least we know JJ gets SW and has learned lessons from making TFA. And hopefully Rian has set him up for success with TLJ too. "Help us JJ, you're our only hope"
Title of the movie has been announced too: "Episode IX - Return of the JJ"
And the writing with BVS wasn't the biggest problem with it. Title of the movie has been announced too: "Episode IX - Return of JJ"
I hope this one actually has a plot and resolution. I absolutely love TFA, the critics raved about it and the overwhelming majority of fans love it. The actors and crew loved working with him and J.J. understands Star Wars and that era's filmmaking like no other. He did say he would love to make another Star Wars and that he'd love to film the script to VIII. And do you know what this also means? A word he commands till the end. AAWWww yeaAAAHHH! He caught a ton of flak for TFA but I loved it so I have great hope for this!